Thomas in "The Maze Runner"
One of the popular professional American actors is named as Dylan O'Brien who is famous for his lead role as Thomas in the dystopian science fiction adventure trilogy "The Maze Runner". He is a well known American celebrity. He is famous for contribution to professional life. He is also famous for his role as Stiles Stilinski in the MTC television series Teen Wolf. He is very talented and skilled actor. Passionate and enthusiastic actor, Dylan O'Brien was born on 26th August 1991. He was born in New York, the city of U.S. He was raised in Springfield Township, New Jersey. He is the son of Patrick O'Brien and Lisa O'Brien, his father, and mother. He also has a sister named Julia O'Brien. His nationality is American. His astrological sign is Virgo. At the small age, he began his career with the actor. Dylan attended and graduated from Mira Costa High School in the year 2009. Later, Dylan had planned to enroll himself at Syracuse University in NY to major in film, but he dropped that plan and moved to Los Angeles to pursue his career in the show business. Dylan O'Brien has got a great personality. Talking about his body, his height is 1.80 m. His weight is of 69 Kg. His eye color is dark brown and the hair color is also dark brown. He has a balanced body with good health. He has an attractive body figure. His smiling face and charming personality have helped him to gain the attention of all the viewers. His sexual orientation is straight. Dylan started his career in acting. He produced, starred and directed in many short films and shared from his YouTube Channel. Later, he got the main role in MTV's Teen Wolf after trying in many auditions. Teen Wolf is a series. After playing for MTV's Teen Wolf, he began playing for Stiles series in the year 2010. Dylan was widely recognized after his comedy film "High Road" in the year 2011. He also appeared in the romantic comedy movie "The First Time" in the year 2012. He then appeared in Shawn Levy's comedy movie "The Internship" in the year 2013. Dylan played in the movie named "The Maze Runner" as the lead role of Thomas which was released in 2013. It was the movie made from the novel of the same name. He was also named as one of the 15 breakouts starts to watch in 2014 by Yahoo Movies. The sequel of Maze Runner named Maze Runner: The Scorch Trials was released on 18th September 2015. While making for the Scene of next sequel of Maze Runner named Maze Runner: The Death Cure, he was injured and the wound was very serious. It was in March 2016. 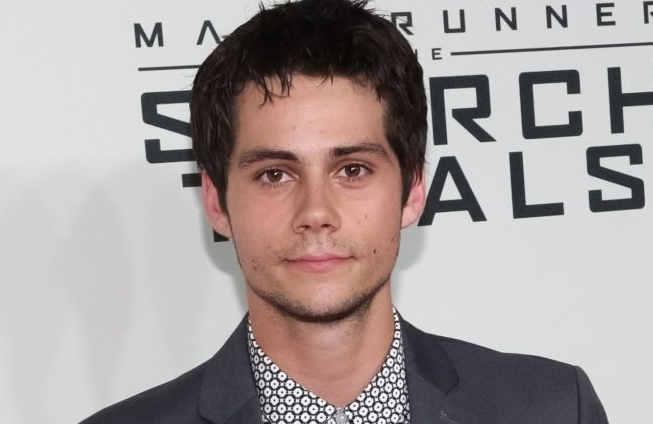 After his recovery, he completed his role in Maze Runner: The Death Cure in August 2016. In the year 2017, he also played for American Assasin, an action thriller in the CBS films and Lionsgate films. The movie "Maze Runner: The Death Cure" was later premiered on 26th January 2018 earning over $945 Million. Dylan was cast as the titular role in Christopher MacBride's mystery thriller "The Education of Fredrick Fitzell" and Gary Oldman in Crime Thriller "The Bayou" in May 2018. In the upcoming year 2019, he is set to guest star in Jordan Peele's comedic sci-fi anthology series "Weird City". Dylan is single. He is not married yet but he is in a relationship with Britt Robertson, his girlfriend. He met her in the year 2011 while making the film of "The First Time". Since then, they started dating. They seem to be very happy with each other. The couple makes public appearances together often. There is no any sign of Separation between them. They are living peacefully. He also has a celebrity crush on Chloe Moretz, Emma Stone, and Anna Faris. This excellent actor makes good money from his work. The net worth of Dylan is estimated to have $7 million as of 2018. His salary is kept in privacy but there is no doubt in the mind of his supporters and followers he is satisfied with his earning.